It looks as if Bitcoin is getting Segregated Witness. Bitcoin Improvement Proposal 91 (BIP 91) just locked in. Up to 90 percent of all hash power signaled support for this soft fork, which implies miners intend, in turn, to trigger Segregated Witness (SegWit) activation. By extension, this should make BIP 148 obsolete and August 1 a non-event. But SegWit is not certain. In fact, on a technical level, SegWit is not any closer to activation at all. Segregated Witness, defined by BIP 141, locks in if at least 95 percent of miners (by hash power) signal support for the upgrade within a two-week difficulty period. To do so, miners need to embed a piece of data called “bit 1” in the blocks they mine. Importantly, this is technically the only way for SegWit to activate right now. And this threshold has not yet been met. But there are alternative strategies to try and trigger this threshold “indirectly” — like BIP 91. 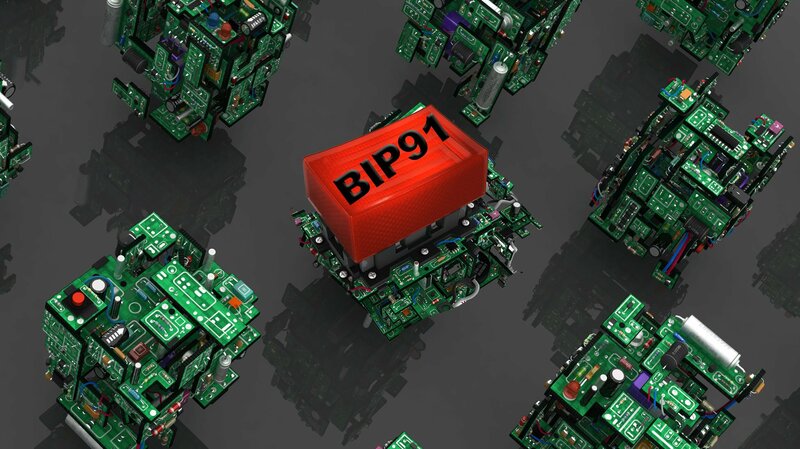 BIP 91 is a Bitcoin Improvement Proposal proposed by Bitmain Warranty engineer James Hilliard. It is compatible with the New York Agreement and backed by a number of Bitcoin companies and mining pools. 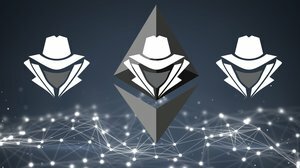 It is also compatible with BIP 148, another strategy to trigger the BIP 141 threshold indirectly. Miners have been signaling support for BIP 91 over the past couple of days through another piece of data, “bit 4.” Once 269 blocks within a 336-block window included bit 4, this BIP 91 soft fork locks in. This threshold was just met. This means that after another 336 blocks, a little over two days from now, all BIP 91–compatible nodes will reject any block that doesn’t include bit 1. As long as a majority of hash power enforces BIP 91, this majority should eventually control the longest valid chain according to all Bitcoin nodes. And as this chain consists of bit 1 SegWit-signaling blocks only, it would in turn lock in SegWit on all SegWit-ready nodes by mid-August. SegWit itself should then be live on the Bitcoin network after a two-week “grace period” by the end of that month. Although well over 80 percent of hash power has signaled bit 4 for BIP 91 lock in, this doesn’t actually guarantee anything. Most importantly, it doesn’t in itself mean that these miners will signal bit 1 for SegWit. Indeed, so far, most miners don’t. Currently, the proportion of miners signaling bit 1 is still far lower than BIP 91 activation would suggest. It is even lower than 50 percent. Moreover, BIP 91 will probably be enforced by hardly any economically relevant nodes; that is, nodes operated by users that accept bitcoins as payment. Almost no Bitcoin users on the network recognize BIP 91 or its bit 4 signaling at all, and will therefore continue to accept blocks with or without bit 1. 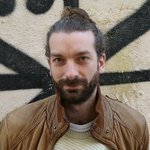 BIP 91 will, instead, be enforced by hash power alone. This in turn means that a majority of miners (by hash power) could back out of BIP 91 with little more than reputational damage. They could continue to mine blocks that do not signal bit 1, even after BIP 91 activates in a few days. As long as these miners are in a majority, they will still control the longest valid chain: valid according to most miners, and valid to most users. Furthermore, any minority of miners and the few nodes that do enforce the BIP 91 soft fork would then be forked off the Bitcoin network. In a few days from now, these miners would mine (on top of) blocks that almost only they themselves would care for, while most of the rest of the entire Bitcoin network would completely ignore them. With this week’s bit 4 signaling, a majority of miners have effectively made a statement that they intend to start to activate the SegWit soft fork within a couple of days. But for now, that’s really all it is: a very public, blockchain-based statement of intent. Actual SegWit activation should start next week, if miners stick to their stated intent.